Our ‘Dual Focus PhD’ series tracks the working lives of our part-time PhD fellows. Many work at the highest of levels, both nationally and internationally, including for other parts of the UN system. They come to Maastricht for our unique PhD Dual Career Training Programme in Governance and Policy Analysis (GPAC²). 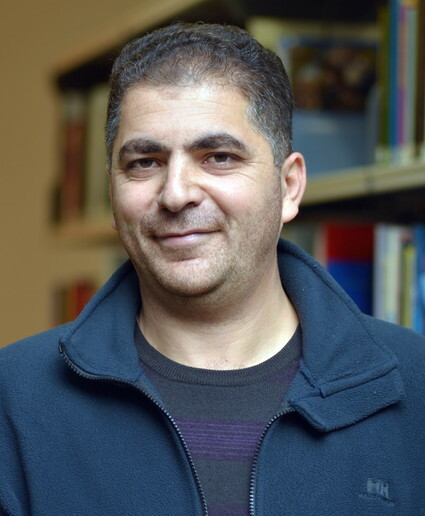 This time Dr. Mindel van de Laar speaks to Khaled Rajab about his work in Palestine. You defend your PhD on 19 June 2018. Can you briefly describe your thesis? My research looks into strategic planning within Palestinian local governments. It considers the conditions, factors and dynamics that shape the design, launch and roll out of local strategic plans within fragile contexts. The conceptual framework is based on two interlinked elements. First, that fragile states are marked by weak national institutions, where the legitimacy and effectiveness of central governments are often called into question. Second, that local leadership and community motivation are crucial to the success of reform interventions such as strategic planning. My research uncovers the dynamics of technical solutions (i.e. strategic planning) in a fragile setting, where there is often great uncertainty over resources and authority. The aim was to better understand human behaviour, from buy-in to leadership to motivation, in this specific context. For my thesis I examined strategic planning via participants’ perceptions of real-world events. The approach involved multiple in-depth case studies, covering five Palestinian municipalities. In each of five villages I collected data, interviewed people, and sought various written accounts. This approach allowed me to ‘triangulate’ conclusions via interviews, observations, and document analysis. In other words, I was able to reflect on the various findings from different angles and sources. Your research looks into local governance structures within conflicts. It’s hard to imagine progress being made locally during national conflicts. How important is good local leadership and how can it influence national policymaking? I focus on how leadership influences the quality of strategic planning in terms of making (process), adoption (ownership), and implementation (realisation). 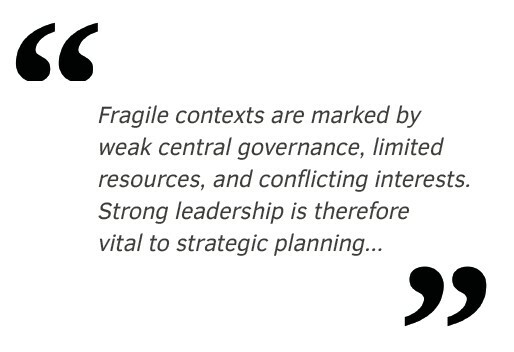 Fragile contexts are marked by weak central governance, limited resources, and conflicting interests. Strong leadership is therefore vital to strategic planning and to offsetting the challenges faced by local institutions and communities. My research examined the impact of local leadership on the success of strategic plans; it also considered the level of ownership by the municipality and the community. My findings strongly suggest that the leadership exercised by the various mayors and technical staff in the villages was critical in driving both the planning process and its outputs. Nevertheless, the complexities of the fragile situation that those mayors find themselves in, with donors boycotting their cities, scarce financial resources, massive community needs, and high expectations from their constituents, require an ability to tap into various resources and assemble a shared vision to guide community development. Within fragile contexts, the strengthening and nurturing of local leadership is key to restoring administrative structure, law and order, and – ultimately – peace. Understanding the power and legitimacy of local leadership can be a decisive factor in state-building efforts within fragile and post-conflict states. You live in Palestine, the region of you study. Doing your PhD, while working, must be a challenge – especially given the ongoing conflict there. What made you decide to take up such a challenge in Maastricht? How did you manage? Living in a fragile state like Palestine worked as both a challenge and a motivation. It was hard for me to distance myself from the harsh environment and the unstable political and security situation. The challenges of my nation, and of my family, made it very difficult to pursue my PhD and focus on academic research and theories. But the responsibility I felt toward my nation, and my urge to help the development of my country were among the key incentives in choosing my topic of study. I really wanted to examine strategic planning in Palestinian municipalities, and I see my PhD as a personal contribution toward improving local governance in my country. The tremendous support I’ve received from my family, friends and colleagues has helped me reach this point. In addition, the encouragement and follow-up from the GPAC2 programme, my advisors in particular, was critical in overcoming all the challenges that I faced during my PhD studies.